House of detention, Clerkenwell after an explosion. 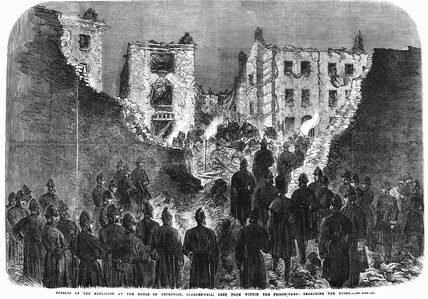 Effects of the explosion at the House of Detention, Clerkenwell; seen from within the prison yard, men searching the ruins. Published in the Illustrated London News on the 21st of December 1867.